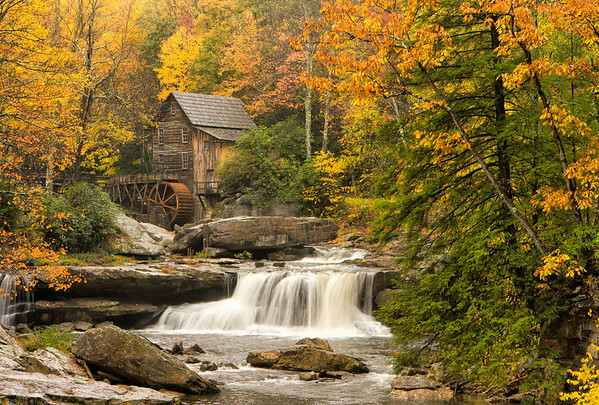 I photographed the mill on Glade Creek in Babcock State Park, WV in three consecutive years. My first two visits were late in October and the leaves had fallen off the trees. This time I hit it about as good as I could have hoped for. The grey, drizzley weather made for low contrast and brilliant color.